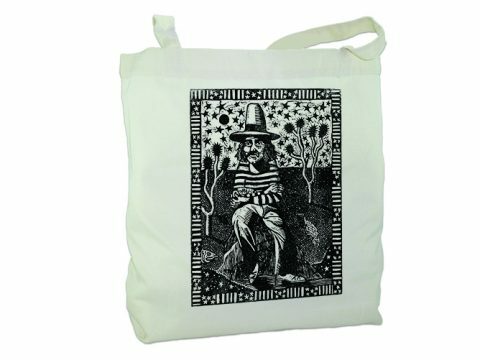 ‘Beefheart’ Tote, By Sophy Hollington. 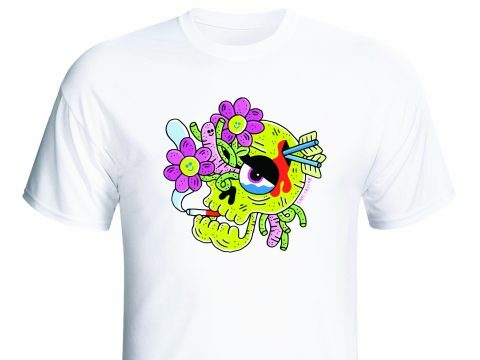 The feature image appears on both sides of the tote bag. Welcome to one of our selection of Tote Bags, lightweight, strong and useful for every day. Now the use of plastic bags has been reduced by all the major retailers, everyone who is conscientious needs to contribute towards trying to protect the environment, so we have introduced a range of “Bag for Life” Totes. Decorated in a select choice of images from some of our resident illustrators, we offer the opportunity for our customers to own their own unique, lightweight ‘Tote’. 495mm wide x 410mm high, with a 125mm gusset. The straps are heavily stitched and measure 560mm long, ample to slip over the ‘shoppers shoulder’. 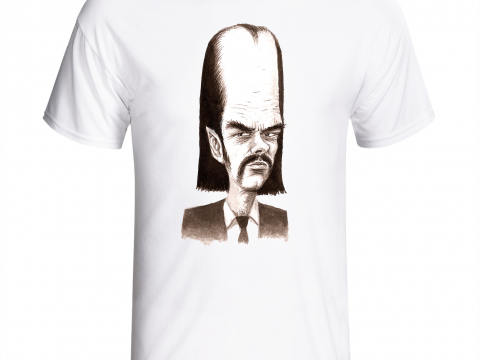 Material: 100% Natural (Cream) Polyester. 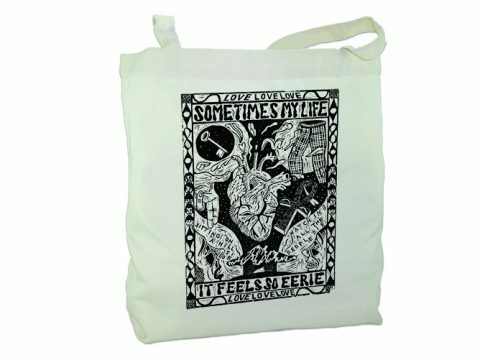 See the others available within the Illustrated Totes section. ‘Love’ Tote, By Sophy Hollington.